Meschede-Grevenstein, Germany (June 27, 2017) – Brauerei C. & A. Veltins was founded in 1824 and started supplying beer to nearby taverns in 1852 after founder Clemens Veltins traveled the world in search of beer knowledge. Luckily, he discovered that his hometown of Meschede-Grevenstein offered some of the finest brewing water in the world, providing beer with a soft, mineral quality uniquely characteristic of the Westphalia region. One such beer is Grevensteiner, an unusual and fascinating brew. Billed as a kellerbier, it is unfiltered and unpasteurized and meant to be enjoyed fresh. An amber-hued lager that’s initially dominated by caramel flavors with slight undertones of honey, Grevensteiner also expresses notes of roasted almonds and fresh fruit that is mostly reminiscent of green apple. For the first time ever this past March, Grevensteiner made its way across the pond for a can release in the United States to an overwhelmingly positive response. The beer’s ability to meld the best of the old world with the new makes it a refreshing alternative to the typical summer beer choices, and a hit with novice drinkers and experts alike. Recently, the beer was awarded a 92-Exceptional rating by The Beer Connoisseur® magazine, designating Grevensteiner a beer to be sought out and enjoyed. While most craft lagers achieve crystal clarity and featherweight bodies, Grevensteiner breaks the mold, providing scintillating depth and complexity with a hazy and unfiltered body and a far creamier and more substantial mouthfeel – a break from the ordinary summer fare. Grevensteiner serves as an example of what 190+ years of brewing expertise can bring: a focus on quality, local ingredients, a perfected brewing method and, in this case, the idea that what’s old is new. “By launching Grevensteiner in cans, we are providing craft beer lovers with the chance to enjoy an interesting craft lager in a more portable container, and we feel that this beer can be enjoyed anywhere, any time,” Mueller continued. 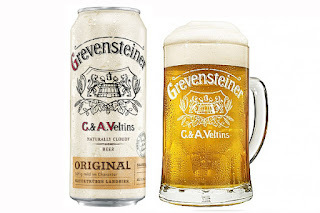 Brauerei C. & A. Veltins beer can be found in the following states: AK, AZ, CA, CO, FL, ID, IL, KS, ME, MA, MI, MN, NC, NE, NJ, NY, OH, OR, PA, RI, SC, TN, VT, WA, WV and WI. 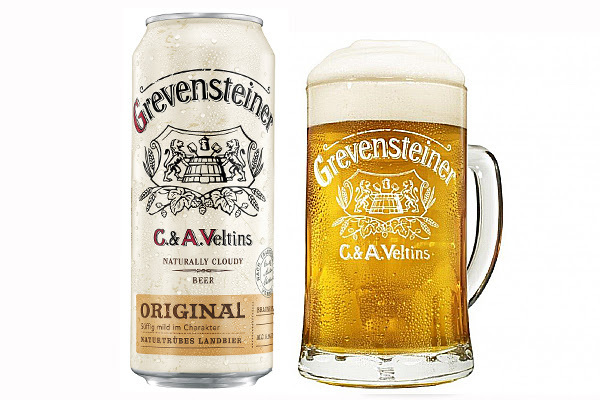 Look for Veltins Grevensteiner in local beer and liquor stores, both chain and independent, as well as specialty grocery outlets including Whole Foods and Total Wine. Interested in selling Brauerei C. & A. Veltins Grevensteiner in your retail store, bar or restaurant? Interested in becoming a distribution partner for Brauerei C. & A. Veltins? Please contact Lanny Hoff with interest at +1 (612) 245-5433 or by email at lanny.hoff@artisanalimports.com. About Brauerei C. & A. Veltins: Brauerei C. & A. Veltins is located in Meschede-Grevenstein, the capital of Germany’s Hochsauerlandkreis district. With over 190 years of brewing expertise, Veltins features a lineup of popular beers such as Veltins Pilsener, Veltins Radler and Grevensteiner. Learn more at http://www.veltins.com/.